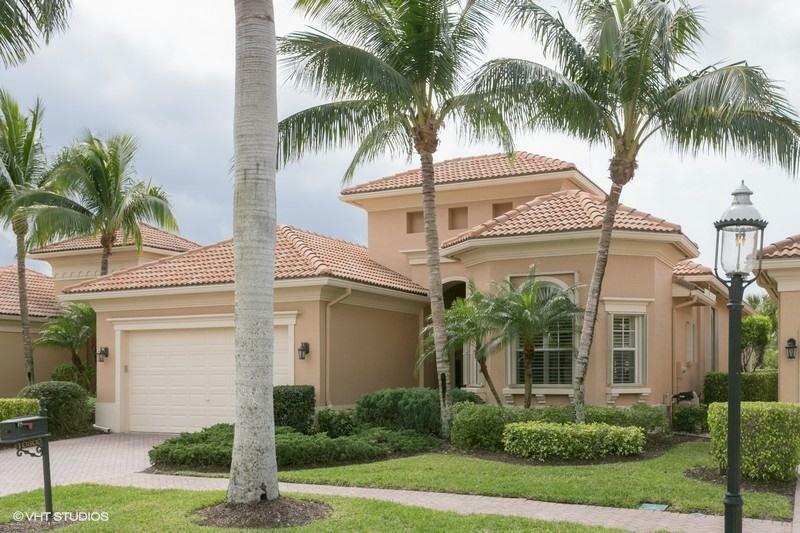 All Ibis-Terra Lago homes currently listed for sale in West Palm Beach as of 04/21/2019 are shown below. You can change the search criteria at any time by pressing the 'Change Search' button below. If you have any questions or you would like more information about any West Palm Beach homes for sale or other West Palm Beach real estate, please contact us and one of our knowledgeable West Palm Beach REALTORS® would be pleased to assist you. "Move-in-Ready, this popular ''Riviera'' great room floor plan boasts 3BR+Den,3BA+Bonus Room with almost 3000 square feet. Gorgeous Saturnia Marble floors laid on the diagonal in all rooms, crown moldings, trey ceilings, neutral colors, Hunter Douglas window treatments, epoxy garage floor are just a few of the upgrades. The open kitchen features s/s appliances, upgraded 42'' cabinetry and light-colored granite counters. Open pool area features a southern exposure with plenty of nice bright light. Accordion shutters, newer pool pump newer A/C, 2017 washer/ gas dryer, water filtration/water softener. No pool heater, chandelier in foyer does not convey. Flat-screen TV in great room remains."